Is the Future of Call Centres on UK Soil? 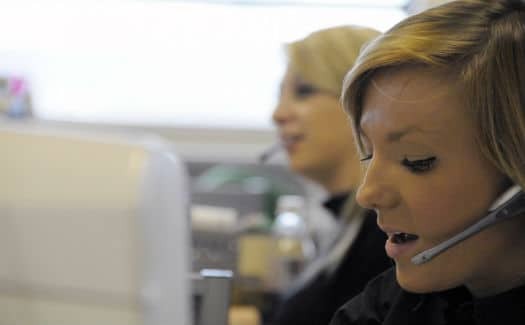 Today, there are more than 6000 active call centres in the UK. About 4% of the country’s working population comes from a call centre background, with that number increasing day-by-day. Strategic thinking techniques like better analytics and social media conversions are shaping up the call centre sector. With the constant evolution and growth of call centres and business communication solutions, the following are the important trends that will decide the future of call centres. Digital transformation is one of the applications of advanced technologies that have completely renovated the modern business environment. Advancements in unified omnichannel communications and machine-to-machine communications via the Internet of Things (IoT) has led a forward-looking digital transformation strategy to become a key for those businesses who want to stay competitive. Omnichannel communications separate proactive businesses from their more reactive counterparts. With the omnichannel approach, businesses can give consumers a personal feel to resolutions. Omnichannel communications provide businesses with a better concept of who their customers are, gives a quick solution for their issues and helps salespeople to find better opportunities for future sales. Many businesses prefer cloud communications as a part of their communication strategy. Cloud communications are important for call centres. For businesses who need to take advantage of smooth team communication and collaboration, cloud communications are necessary for them. Cloud communications can help traditional office-based contact centres take on new locations and grow as per the needs of the market. Vendors that offer cloud services can help you organise your business into the cloud at your own speed. Customer satisfaction is indirect feedback given to the companies about where and how their business should improve. Many businesses utilise customer satisfaction measurement in several ways. Installing effective reporting and analytics tools with your communication systems makes the customer experience automatic and valuable. Social Media presence is a necessity for all businesses. Because of social media, customers get a proper platform where they can give quick feedback about any product of your company. Also, they can learn the latest trends in their favourite businesses. Beyond reading witty posts and sharing images, customers are looking forward to a two-way social media interaction with an expectation of a personalised and immediate response from the company. Many responsive businesses are using this trend to create a friendly customer experience. This two-way conversation is public on social media where other people can get an overview of the product and company services.